Are you looking for honest and reliable auto repair for Scion in Eugene? Look no further than Action Automotive. Our auto mechanics are either ASE-Certified or Master-Certified, which means they had to undergo rigorous training to achieve such a certification. Our auto repair shop is clean, organized, and equipped with the latest and greatest in tools. Because we stand behind our work, we offer a 24,000-mile/24-month warranty on all Scion service. 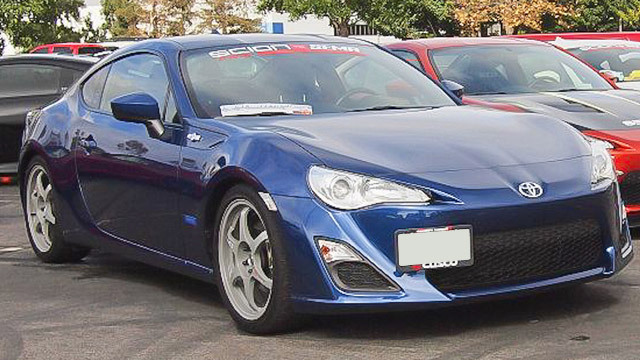 At Action Automotive, we perform two inspections on your Scion. We want to secure the safety, drivability, and longevity of your Scion, and the best way to do so is to inspect your vehicle from bumper to bumper thoroughly. The first inspection, referred to as the Courtesy Inspection, is performed at the beginning of your service. We will look for any signs of impending damage. The second inspection, called the Quality Inspection, is performed at the end of your service. With this check, we make sure we correctly fixed the underlying cause of the problem afflicting your Scion. It can be a challenge to find an auto repair shop that excels at not just caring for cars, but at caring for people too. If you have been prospecting for a shop having these values, then with Action Automotive, you have truly struck gold! Each member of our team, auto mechanics included, is compassionate and courteous. No matter the auto repair your vehicle requires, we are your shoulder to lean on. To schedule an appointment for Scion repair, call Action Automotive now. We are located at 1491 West 6th Avenue, Eugene, OR 97402.